We have recently been iinformed that an embeddd third-party software component of Act! that facilitates licensing services is being discontinued by the licensing manufacturer at the end of this year - December 31, 2018. Make key modifications to existing machines (e.g. motherboard swap, network card swap, etc. You MUST take action to ensure uninterrupted access to your Act! database to Act! by December 31, 2018. Failure to take action WILL result in imminent loss of access to your Act! database. For Act! customers that are using a supported version of Act! (based on the Act! Obsolescence Policy) they will be provided a licensing patch at no extra charge. Depending on the version of the Act! software you are running, there ARE steps that you need to take to ensure that your access to your Act! database is not interrupted. For customers with on-premise installs of Act!, you will need to apply the Act! patches based on the version of Act! that is installed AND the software patch release dates below. Please note that the MTS calendar will also be updated with the information. Act! Premium v21x (released 11/7/2018) will include the necessary new licensing component. If you have recently subscribed to Act! or are a current with your Act! subscription, this key patch will be sent to you the week of November 19th. Act! Premium v20x: You have full Act! technical support until 11/30/20. Act! Premium v19x: You have full Act! technical support until 11/30/19. Act! Premium v18x: You have Act! technical support until 11/30/18 (this month). Update 7 for v18.2 is expected to be available on January 8th, 2019. If you are active with your Act! subscription, we must get you upgraded immediately. MTS can assist with the upgrade. If you are NOT active with an Act! subscription, then you MUST upgrade to a current, supported version of Act! and MTS can assist with your purchase of the Act! subscription and the upgrade. Note: For Act! 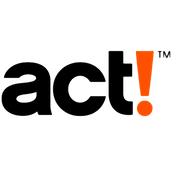 Cloud/Hosting customers, that are on a supported version of Act!, the update will be applied automatically to your server (based on the version and dates supplied above). Act! customers that are current with their Act! subscriptions will be provided the licensing patch a no extra charge. But the patch needs to be applied to your existing Act! implementation for EACH machine with an install of Act! for that specific machine (e.g. workstations and servers). If you have Act! 'on-premise' (where you install a copy on your workstations/servers), please Submit A a Trouble Ticket so we can discuss your options. If you are not active with subscription, we can provide you pricing and support you with your upgrade. Please be sure to check the MTS for specific dates of deliverables. This information will be updated if/when dates and information change. See our Act! Updates and Events page. As always, we are here to assist with you with your questions, subscription order placement, potential upgrade needs and general support. You can call us directly at 610.526.1600 or 888.888.3770 or you can request a follow-up call via our Trouble Ticket page. If you have any questions, please be sure to not wait until the last minute to address. You have very limited time frame to address this serious issue.